It is only a month away from our next show SPRING UP! 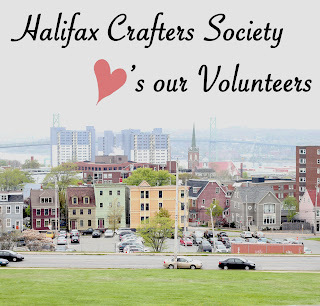 on May 5th and 6th at the Olympic Centre in Halifax. Here is our lovely new poster by Stephen Bishop of Hello Daylight to get you excited with anticipation. Soon these hand printed posters will be popping up all over town! It's that lovely time of year again. We're all just getting over that hazy winter show daze and it's time to apply for the spring show already! from 11am to 6pm at the Olympic Community Centre, 2304 Hunter Street (at the corner of Hunter and Cunard). APPLICATIONS ARE DUE FEBRUARY 17th at 5pm! We're sticking with our new online application process. 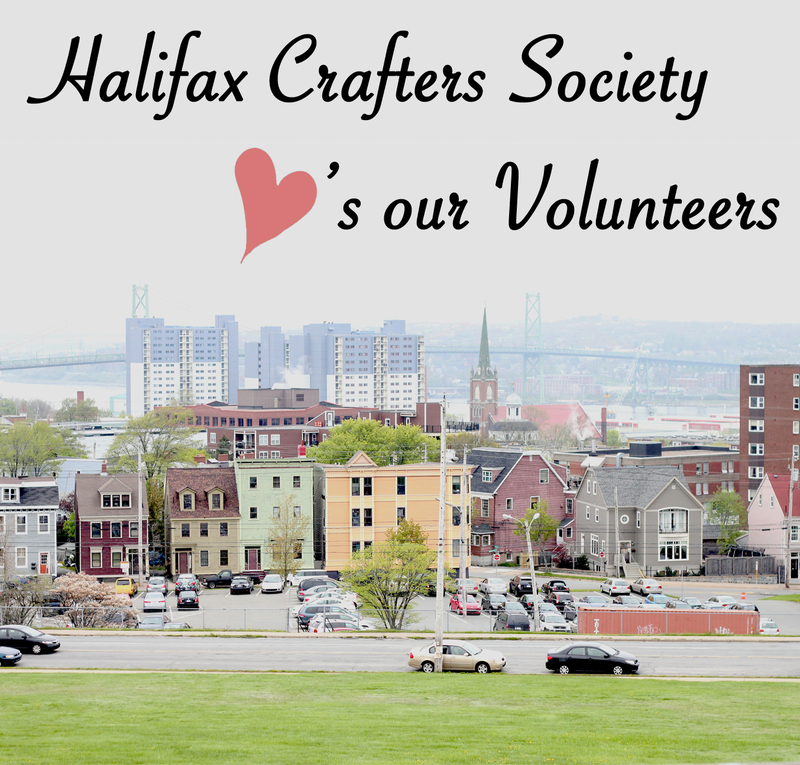 Just email us at halifaxcrafters@gmail.com for the link to the application. Be sure to check out this great article for tips on putting together a successful application. Three more days! In case you were wondering, the Crafters are busy working overtime this week to get ready (many are even working other day jobs in addition to their crafting). Today we're going to meet Alissa Kloet. You've already seen her work - she's one of the artists behind this show's posters. But let's take a closer look at what she does. I make textiles for the home and most recently started branching out into making wood trays. 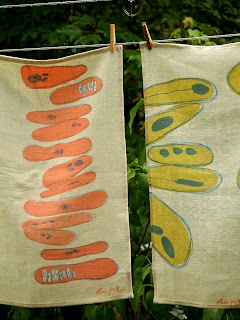 My process involves silk screening my own original designs onto fabric, and most recently wood. I also do work with stitch - like reverse applique and embroidery. This will be my third year participating in the Christmas show here in Halifax. Before I moved to the east coast I was involved with the Maker's Market in Hamilton, Ontario. 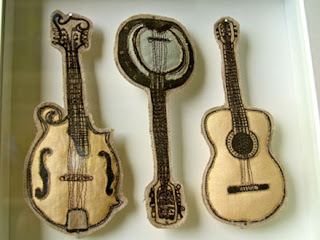 I studied textiles for three years at Sheridan College. After receiving a diploma, I went on to complete a BFA in Interdisciplinery Studies at NSCAD. 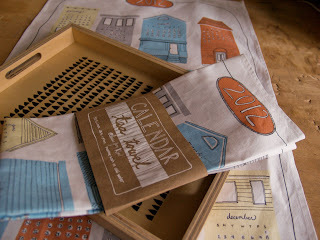 I've been selling my work since graduating from Sheridan in stores here in Halifax and some around the Toronto area. I love seeing something that started out as an idea on paper become an actual thing. Being part of the process from start to finish is really important to me. 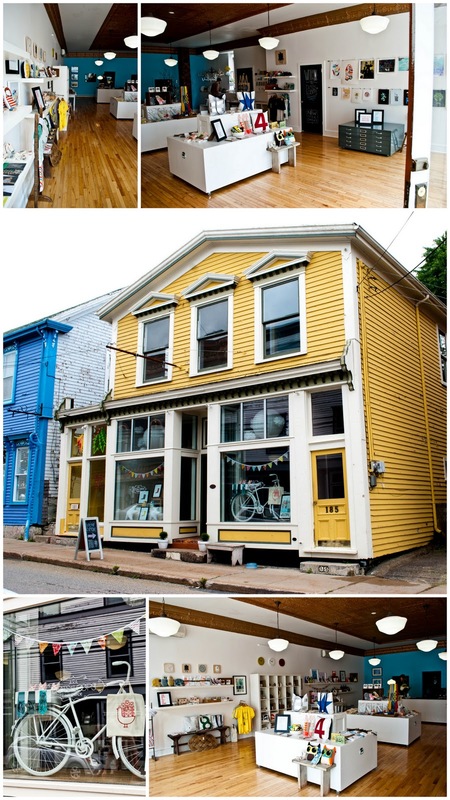 Currently in Halifax I sell through Seeds Gallery. 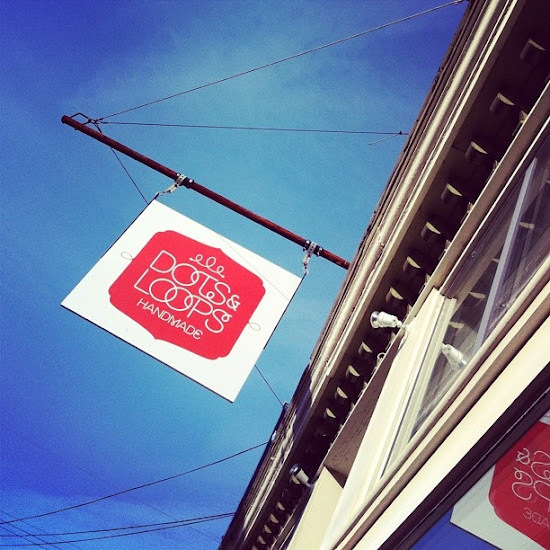 Hopefully my products will pop up in some more stores around the city this coming spring. What is your involvement in the show? This is my first year being part of the team that gets the show up off it's feet. I also had the privilege of illustrating the poster this year. I have a small space in my apartment where I do a lot of my sewing and designing. My boyfriend has also graciously given me studio space in his basement - that's where I do my printing. 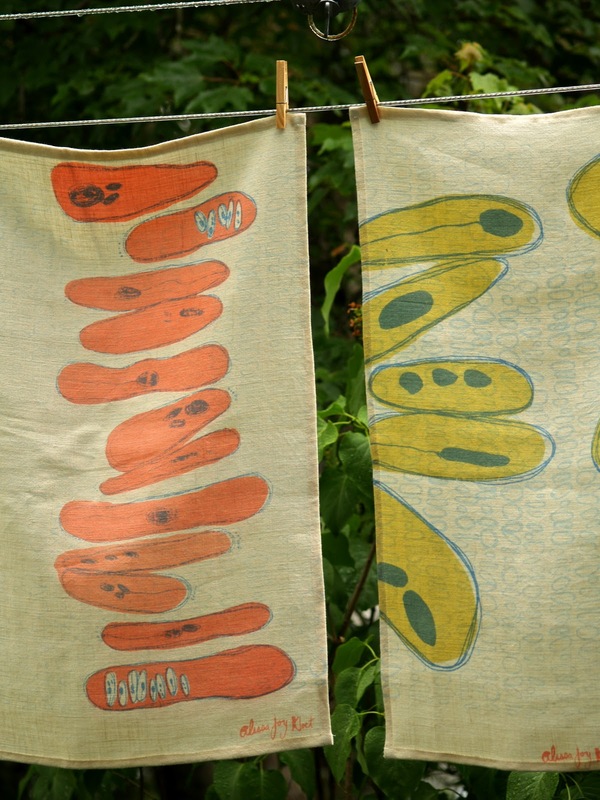 I really like textiles from the mid-century and I can never get enough of Scandinavian design. I need my notebook - I like to start with small creative acts to give myself confidence, my Bernina sewing machine and some really great fabrics.